As part of OER19 we’ve created the ‘OER19 Backchannel’ on the website. This is a private space only accessible to OER delegates (and ALT Members), initially designed to help people share their travel arrangements, buddy up, or get travel advice. Whilst the group is private please consider the information you share, as potentially many eyes in the private group might see it. 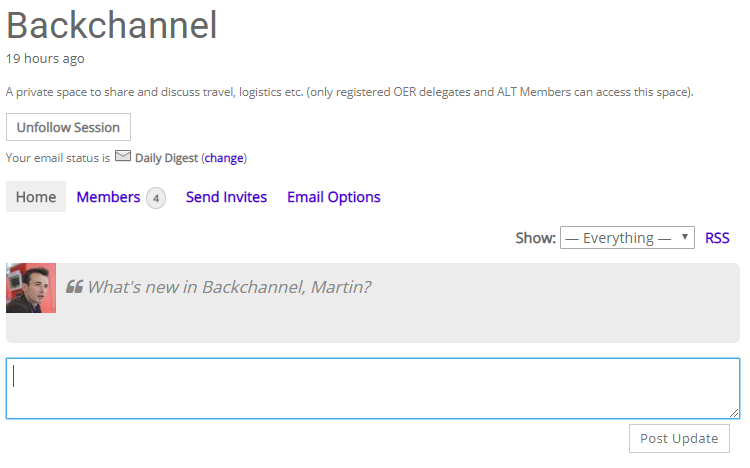 How to join the OER19 backchannel? Alternatively, if you are already logged in, you can visit https://oer19.oerconf.org/sessions/backchannel/ directly. How to view the backchannel and post updates? To view the ‘Backchannel’ you need to be logged in (follow the instructions above). How to post a message or comment? To post a message click in the box below ‘What’s new…’, type your message, and then click ‘Post Update’. How will I know if I get a reply or if there’s a new post? By default, all group members receive a daily email digest of the group activity. 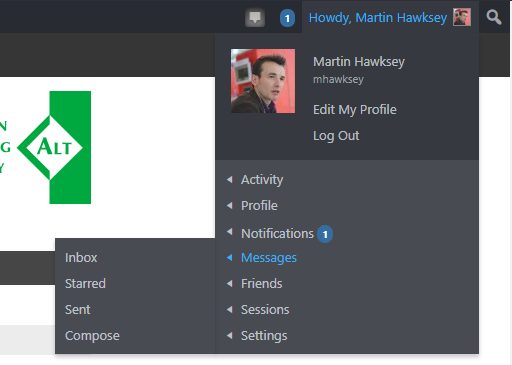 You can change the frequency of notifications from the group landing page by clicking ‘Email Options’.